One of the most important people in comics history is gone. We’ll be updating this post with links to our coverage, so keep checking back here at 13th Dimension. — STAN LEE: An Appreciation, by DAVE GIBBONS. Click here. — MEETING STAN LEE: Creators Recall Walking With a Giant. Click here. 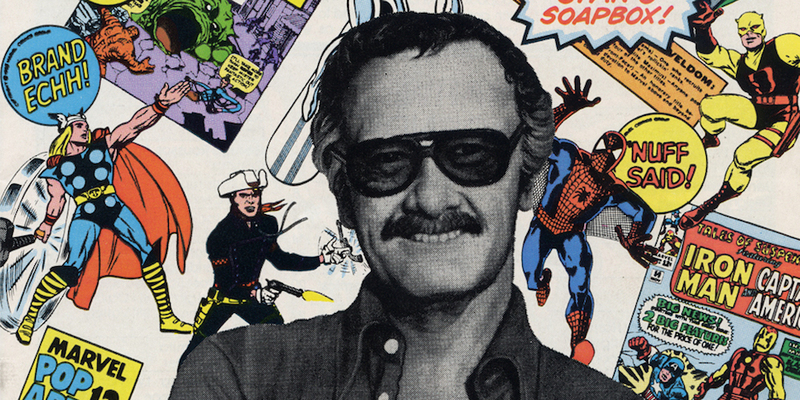 — Dig DAVID MACK’s Marvelous Tribute to STAN LEE. Click here. — 13 COVERS: The Most Important Person in Comics in the Last Six Decades. Click here. — STAN LEE AT 95: A Tribute by ROY THOMAS. Click here. I’ve said this MANY times before: I believe that Marvel/Disney will embalm Lee as The Great Creator just as they’ve done to Disney himself–and Kirby will become a footnote. No matter where you fall on the great debates about creator credit, etc., there is no denying Stan was comics’ greatest ambassador. He pushed the medium on the public back when it was still looked down upon as kiddie fare with no artistic value. R.I.P., Mr. Lee. The legacy that you and Jack Kirby left behind for the superhero genre will forever be revered. I am incredibly saddened by this as Stan was and is my favorite comic book rider of all time. He and Jack Kirby were the greatest creative team in comics history. I will miss his cameos in all the Marvel movies. You were the best Stan Lee and you got me through some tuff times!! !